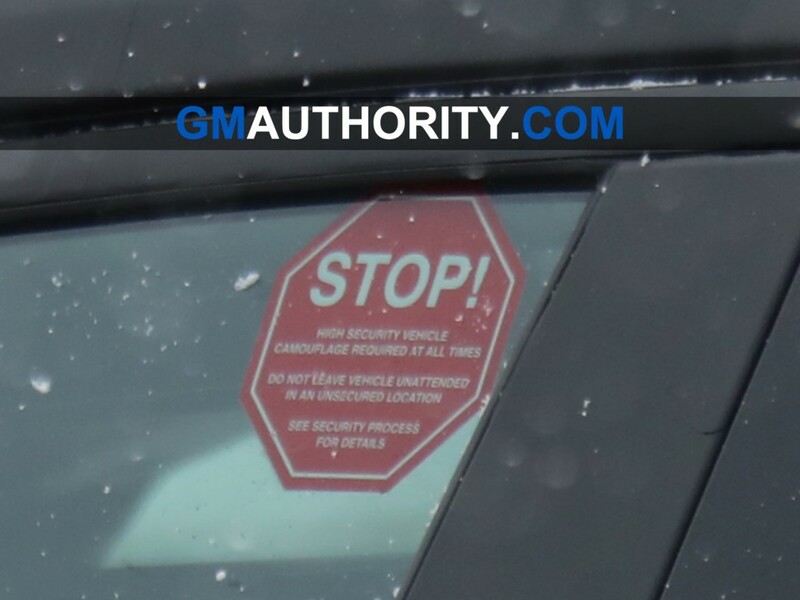 If you’ve been following GM Authority for any decent amount of time, then you have probably seen our spy shots of various GM prototypes. Depending on the development stage of the vehicle, some of these testers are covered in a black tarp (known as cladding) or in a black and white body wrap (known as camouflage). 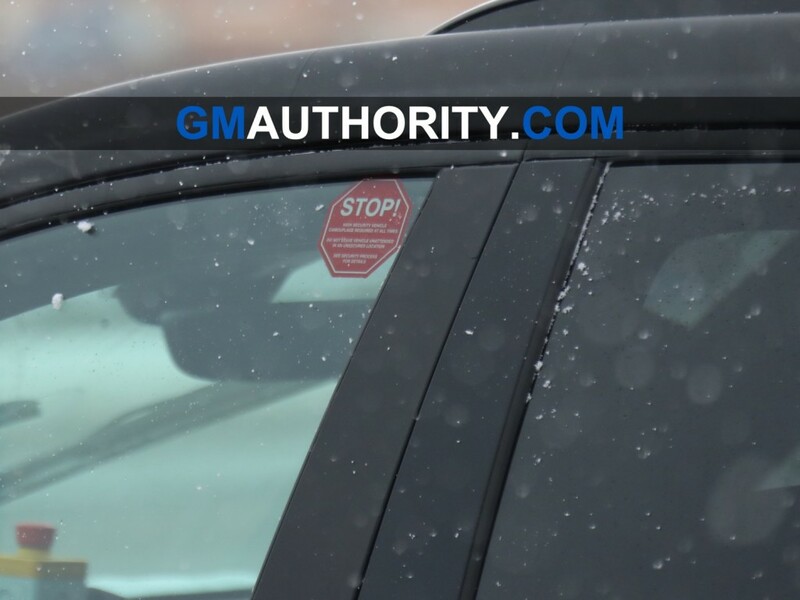 If you’ve seen all that, then you may have also noticed a red sticker in the upper corner of the driver’s-side window. And, if you’re anything like us, you may have wondered what that sticker says. Well, today is the day that we solve the mystery. 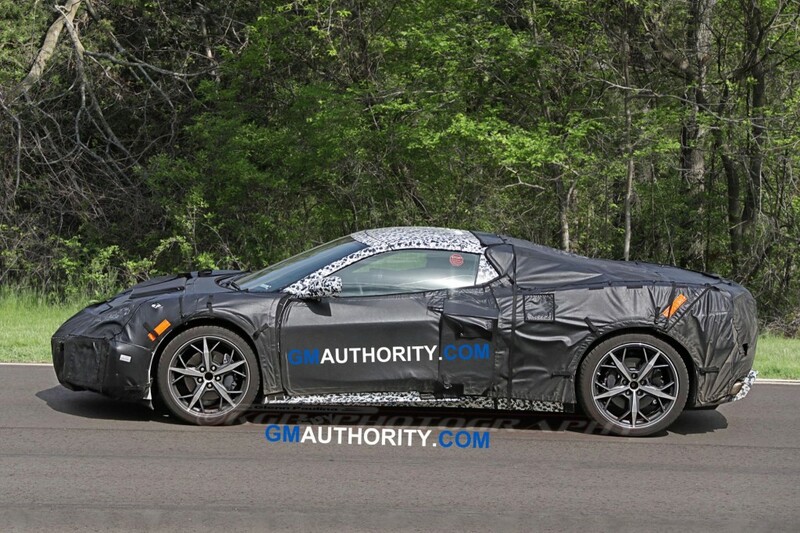 Mid-engine Corvette prototype undergoing testing in May 2018. Notice the red sticker at the top of the driver’s-side window. STOP! HIGH SECURITY VEHICLE. CAMOFLAUGE REQUIRED AT ALL TIMES. DO NOT LEAVE VEHICLE UNATTENDED IN AN UNSECURED LOCATION. SEE SECURITY PROCESS FOR DETAILS. The message is to be taken very seriously, as just about anyone these days can easily snap a photo of the prototype on their smartphone while the vehicle is undergoing testing on public roads. So, it almost goes without saying that any prototype taken out for testing must be camouflaged and never left unattended in unsecured locations, as it only takes a moment for prying eyes to compromise the camo and leak the images. In fact, that is the very reason that automakers use camouflage and other forms of visual deception to disguise prototypes and models in development, as doing so keeps competitors, the media, and passersby from seeing what they aren’t supposed to see just yet. Keeping the future vehicle and its design a secret helps generate feelings of surprise and excitement when the big reveal, typically at an auto show, takes place – thereby spurring coverage and interest. By comparison, an accidental early look at a new design or a future model can negatively impact current sales, as some consumers may compare their current model to the “new” one, and then base purchase considerations on such factors. An early reveal can also give rivals some vital competitive intelligence, which is almost never a good thing. But despite automakers’ best-laid plans, GM Authority still manages to sleuth its way for a look beneath the covers of future GM models, much like we did with the Cadillac XT6 interior, allowing us to conclude that it will be identical to that of the Cadillac XT5 weeks prior to the XT6’s reveal. We also managed to get a first look at the Cadillac CT5 cabin. In neither case did the operators and engineers of the prototypes in question do nothing wrong or incorrect… our spy is just that good. So, the next time you see a camouflaged GM prototype or mule out on the road, be aware of the immense level of trust instilled by the automaker in its pilot and occupants. And now, you will also know exactly what that little red sticker says. PS: if you happen to snap some photos of a vehicle (any automaker, brand and model) undergoing testing, please send them to us here. There’s a part of me that would put this sticker on everything and let car geeks buy them on the dark web for their creations.